CRAZY COOL GROOVY!!! : MARCH MADNESS 2018 - WILDCATS WIN 2018 NCAA MEN'S BASKETBALL CHAMPIONSHIP On SPORTS ILLUSTRATED MAG!!! 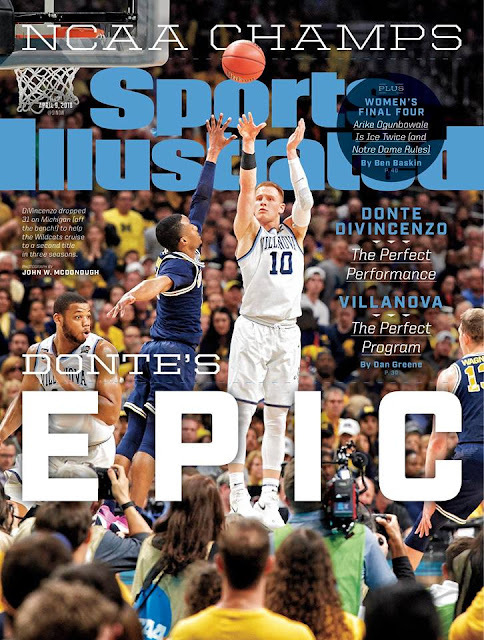 MARCH MADNESS 2018 - WILDCATS WIN 2018 NCAA MEN'S BASKETBALL CHAMPIONSHIP On SPORTS ILLUSTRATED MAG!!! CRAZY COOL GROOVY CONGRATULATIONS goes to Head Coach JAY WRIGHT and the VILLANOVA WILDCATS for Monday, April 2, defeating the MICHIGAN WOLVERINES 79 - 62 at the ALAMODOME in SAN ANTONIO, TX, to win the 2018 NCAA DIVISION I MEN'S BASKETBALL NATIONAL CHAMPIONSHIP!!! The WILDCATS were led to victory by the 31 points, 5 rebounds, 3 blocked shots, and, 2 assists from Point Guard #10 DONTE DiVENCENZO. 2018 marks the second National Title within three years, and; the third overall NCAAS Championship for the VILLANOVA WILDCATS. 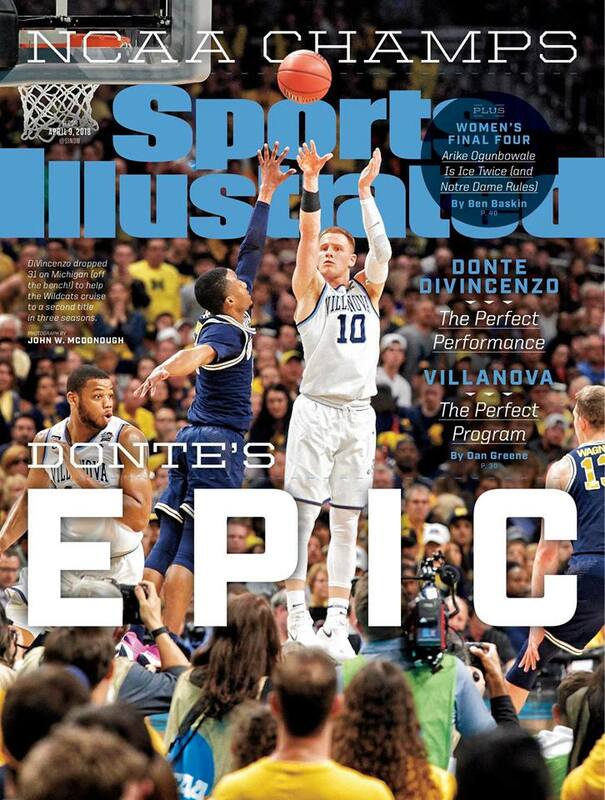 DONTE DiVENCENZO putting up one of his big shots is the cover shot of the cover story for the new issue of SPORTS ILLUSTRATED Magazine.